I have worked extensively with several board game companies. Whilst providing general design support (posters, flyers, kickstarter campaigns etc.) the majority of my work is in designing instruction manuals. The rule book is the introduction into the game world and mechanics of play. 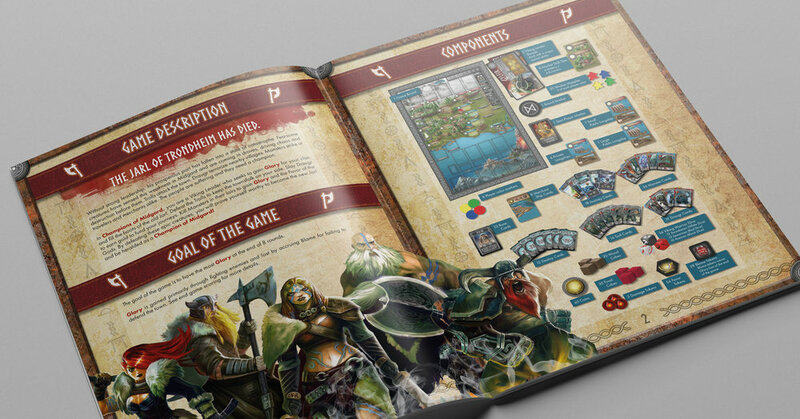 After looking at the components its the first thing the new player will look at – in detail – in order to understand the game. The information needs to presented in a clear and easy to understand format, whilst setting the tone and atmosphere of the game.